Samsung is working on a software update for stubborn Galaxy Note 7 owners that haven’t yet turned in their potentially defective handsets. The update is scheduled to roll out to South Korean users beginning September 20. The Associated Press, citing a front-page advertisement in South Korean newspaper Seoul Shinmun, reports that the update will prevent users from charging the phone’s battery past the 60 percent mark which should hopefully keep them from overheating and exploding. If nothing else, maybe the charging limitation will serve as a nagging reminder for owners to take action and begin the recall process. Seriously, it's not worth risking it folks. The advertisement stated that the update is a measure to put consumer safety first, adding that they apologize for the inconvenience it may cause. It’s unclear whether or not Samsung will distribute the update outside of its home country although Yonhap News Agency claims the manufacturer is in talks with wireless providers regarding the update. 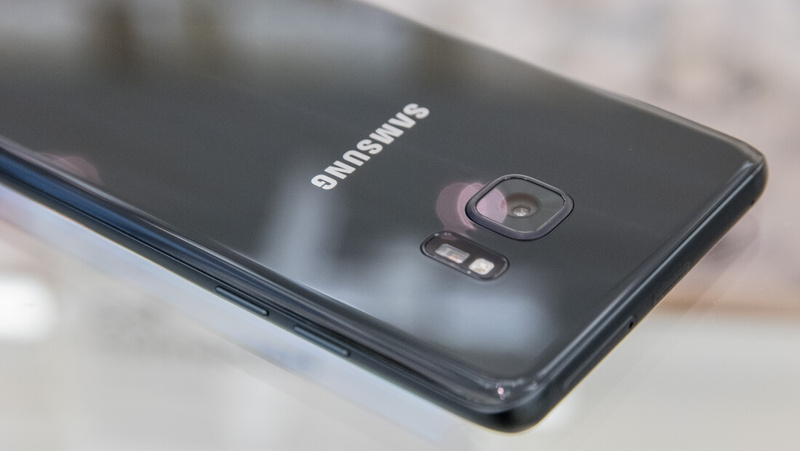 We first learned that Samsung was experiencing issues with its Galaxy Note 7 late last month when the company paused shipments to investigate a possible battery-related issue. On September 1, Samsung confirmed that there indeed was a battery cell problem and halted sales worldwide. DJ Koh, president of Samsung’s mobile communications business, said this past weekend that Note 7 owners should power down and exchange their devices as soon as possible. The executive added that they are expediting replacement devices so users can complete the exchange process as quickly and conveniently as possible. For some, however, the recall didn’t come soon enough. As of September 1, Samsung said there had been 35 battery-related incidents – a number that has no doubt swelled since then. Specific incidents reported in the media include a Note 7 that exploded while charging in a hotel room causing nearly $1,400 worth of damage and another involving a six-year-old boy that suffered burns when the Note 7 he was watching a video on burst into flames. A family in St. Petersburg, Florida, watched as their Jeep Grand Cherokee when up in flames on Labor Day. The culprit? A Galaxy Note 7 charging inside the vehicle. The Federal Aviation Administration has also chimed in on the matter, strongly advising airline passengers not to turn on or charge Note 7 smartphones while onboard and not to stow them in any checked baggage. Note that this is simply a word of warning, not an outright ban (not yet, at least). Specific information about the recall has been hard to come by. According to The Wall Street Journal, Samsung is recalling phones in different markets through different exchange programs rather than conducting a single, universal program. Another piece of the puzzle is that Samsung may simply not have enough inventory of new phones with safe components to replace the millions of devices that have already shipped. Prolonging the process is in the best interest of nobody and couldn’t come at a worse time as Apple, Samsung's largest rival, prepares to launch its next wave of iPhones in just a few days.